On the Seam Museum was established in 1999, thanks to generous donations from a benefactory German family, as a joint project initiated by the Jerusalem Foundation and Rafi Etgar, who also designed the museum and curates it. Part of the museum’s agenda is to promote a dialogue concerning social involvement, and prompting human rights through art. The museum presents changing exhibitions of modern contemporary art; whereas, the main themes are usually controversial social issues in national contexts, revolving around social classes, ethnicity and religion in Israel and abroad. Among the various issues presented in the museum were several human rights exhibitions, political and social dynamics in Israel and around the world, exhibitions questioning various opinions, believes and ideologies, etc. 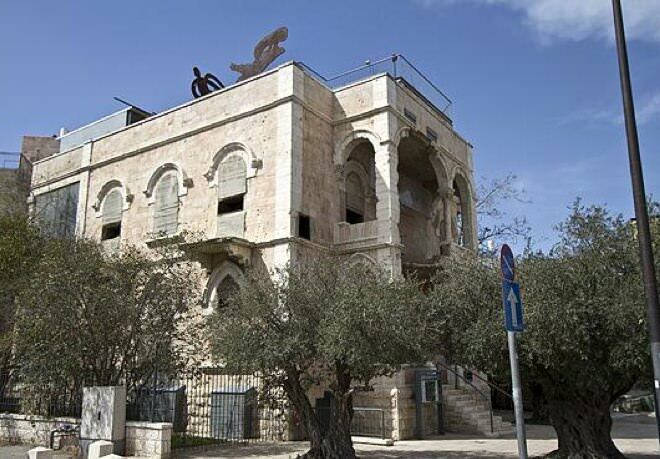 The museum is located in a building located on the seam between Western Jerusalem and Jordan after the Independence War. Its front was damaged during the wars and battles of Jerusalem, because of its proximity to Mandelbaum Gate Bridge, which was used as a bridge between the Israeli and Jordanian side.